You are at:Home»Featured Games News»Harry Potter Hogwarts Mystery»HARRY POTTER: HOGWARTS MYSTERY UPDATE IS LIVE! HARRY POTTER: HOGWARTS MYSTERY UPDATE IS LIVE! 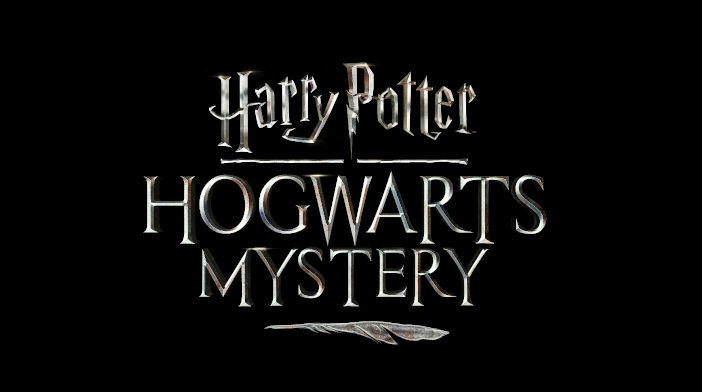 If you are a dedicated Harry Potter fan, you must have heard about Harry Potter: Hogwarts Mystery game developed by Jam City (the developer behind Cookie Jam, Genies & Gems, Sugar Smash, Panda Pop etc). The game had a huge following, but mixed reception when it launched a little more than a month ago. While the concept was praised and the very presentation of Harry Potter universe was very well done, microtransactions (of course) were criticized and were considered to be a cash grab. Whether you like the game or not, it has a very large fan base and an important update hit the game yesterday. While we still haven’t gotten Year 4 in the game, we got updates for Year 3 and a feature that adds friend encounters. This means that you will be able to have special types of encounters with your friends outside of quests, so the update raises social interaction between players, which is great. So how do you play it? First, you have to ask your friend to play Gobstones in the Courtyard. As usual, this is played out via a series of questions where the goal is to get as many of them right as possible. If you had sufficient correct answers to complete this, you level up that friend and earn yourself some nice rewards. When a game of Gobstones is done, you get a Meal with that friend in the Great Hall. Once this is completed (munch, munch), you will be able to go to the Three Broomsticks and try to finish the Drink Butterbeer challenge. This is assuming that you have progressed in the main story enough to unlock the Hogsmeade. Sounds simple enough? That’s because it is, and it’s quite fun. You can quickly turn this ‘leveling each other’ with a friend or friends into a routine. It is especially important to play this as much as possible (of course, the game is designed to keep you playing) because your rewards will be better and better. For example, in the beginning you will only be getting free gems, whereas later, along with those gems, energy will be part of the rewards as well. If you level from level 1 to level 2, you will get 5 gems, but if you level from level 5 to level 6, you will get 10 energy. So we actually got a great way to get more energy, and as most of the criticism aimed at the game was precisely because of energy, this should make things at least a little bit better. You can stock up on energy now if you have finished the main game. As you wait for Year 4 to be released (and new story chapters in the future), you can be better prepared than others if you store enough energy. Not that this means that the annoying and incredibly long cooldowns aren’t part of the new Friend Encounters. As such, you will have large cooldowns on all three of the encounters, with Gobstones and Drink Butterbeer being 16 hours long and the Meal with a Friend being 10 hours long. And while this is, as I said, quite annoying, you can at least get energy from these events, and it’s much more fun than clicking around the castle randomly. And hey, more content is always good, right?